Sometimes I look into my nail polish bag and all the colors seem the same to me. Last week was one of those times. I just wanted something different. 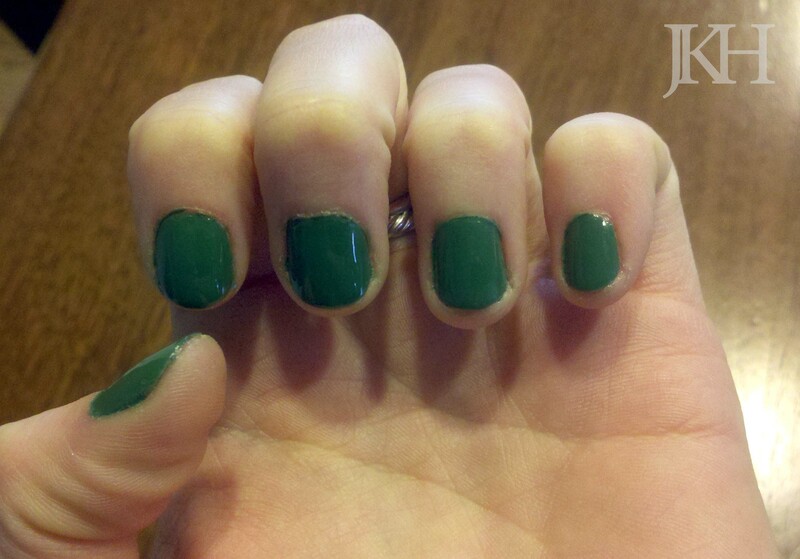 Inspired by this color from Pinterest, I went on a hunt for an emerald-like polish. Although I didn’t end up with the original emerald color that spurred this purchase, I did find a similar polish and a bonus color. Here’s what I ended up with. 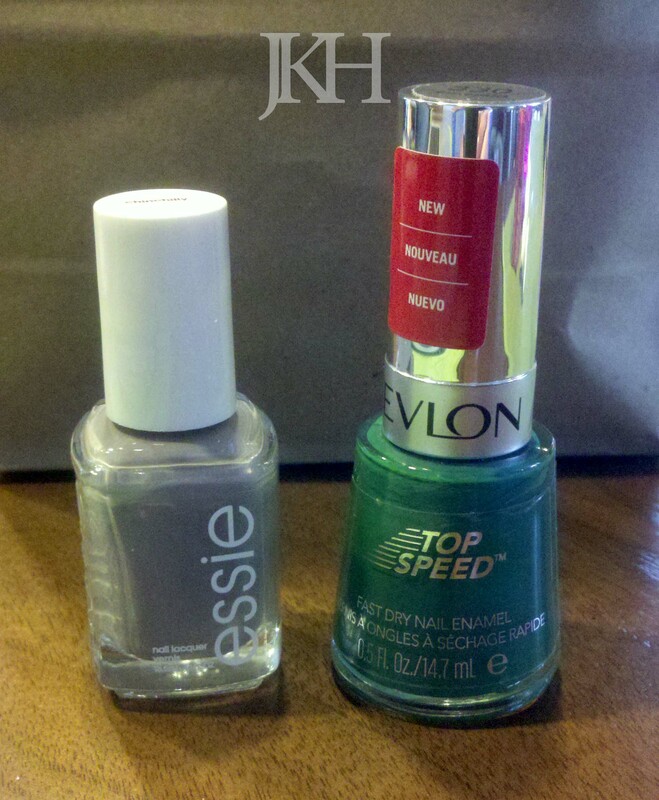 “Chinchilly” by Essie and #330 “Emerald” by Revlon. I liked the emerald a lot. Darker colors on my pale, skinny fingers at this time of year don’t always look great, but this wasn’t bad. If I had used a better top coat and it stayed on for more than a day, I really would have liked it. I loved this Essie color. 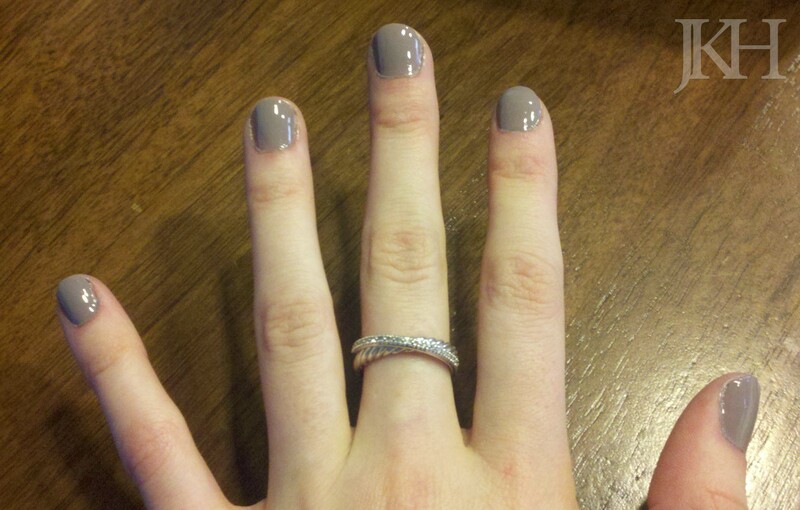 It was a nice blend of a lilac and a gray and a lovely neutral to have on my fingers for a whole week. I used my mom’s Zoya brand base coat (“Anchor”) and top coat (“Armor”) with this one and it stayed on chip free for such a long time. I was blown away by the great shape my nails were still in after five days. So much so that I’m going to invest in both base coat and top coat for myself. Next up? Emerald re-do with the Zoya advantage.